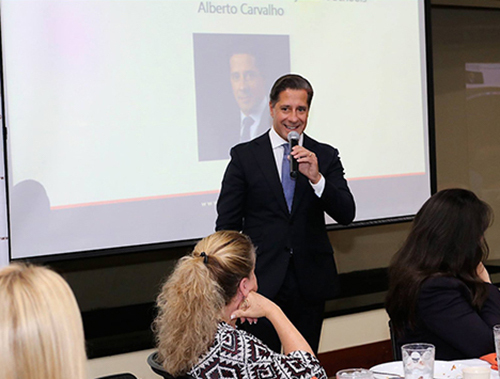 Alberto M. Carvalho, Superintendent of Miami-Dade County Public Schools, the fourth largest school district in the nation spoke at the August ChamberSOUTH General Membership Breakfast, held at the University of Miami Watsco Center. 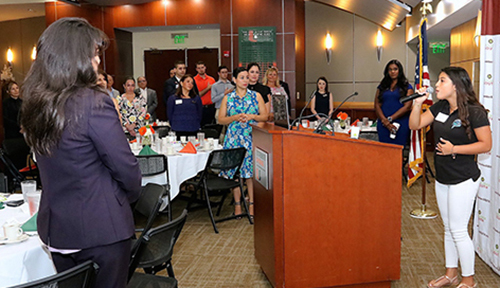 The event was kicked off with a live rendition of the National Anthem sung by by Gabriela Villamizar who is 15 years old and a sophomore at Coral Reef High School. 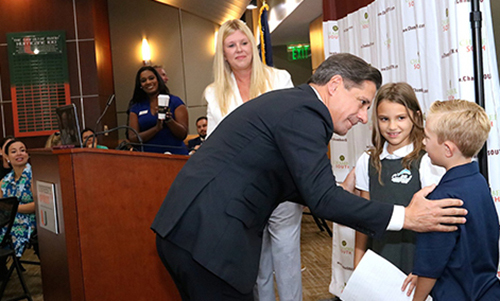 Palmetto Bay Councilwoman Karyn Cunningham introduced the Superintendent along with two Miami Dade County elementary school students, who each read heart felt words about how Superintendent Carvalho has impacted their school and changed their education experience for the better. 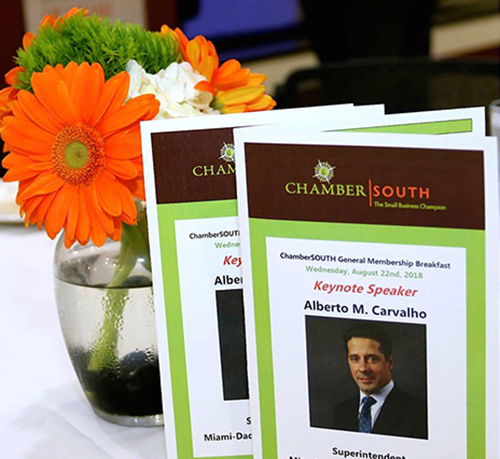 Speaking to ChamberSOUTH is a yearly priority of Superintendent Carvalho. He brought his original delivery, spoke from the heart and much inspiration about our children and their futures. 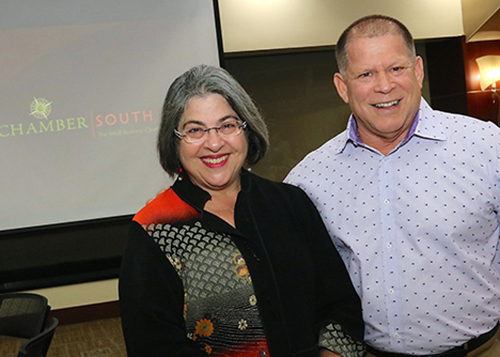 A nationally recognized expert on school reform and finance, he has successfully transformed the district’s business procedures and financial structures with the implementation of a streamlined Strategic Framework focused on the one and only goal of student achievement. 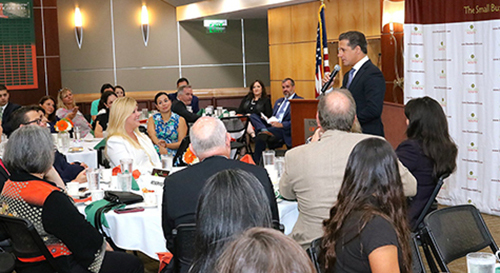 During his time in office, Miami-Dade Public Schools has become one of the nation’s highest-performing school systems. 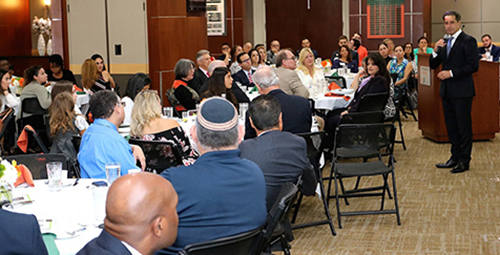 Chamber members and guests were joined by Miami-Dade County School Board members, other elected officials, area principals and teachers to listen to remarks made by the Superintendent all while enjoying a delicious breakfast provided by the University of Miami Watsco Center catering team. 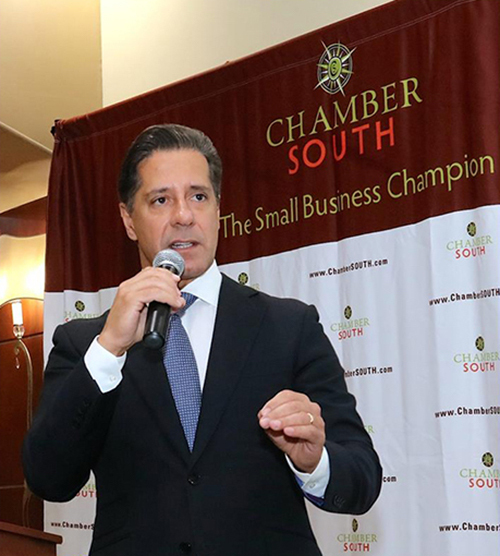 ChamberSOUTH strives to better the South – Dade community and beyond, to find out more information about upcoming events and how to become a member, head over to www.chambersouth.com or follow them on social media@chambersouth (twitter/Instagram/facebook). 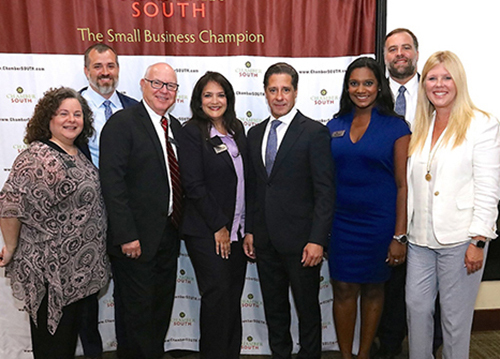 Elected officials and Miami-Dade County students. 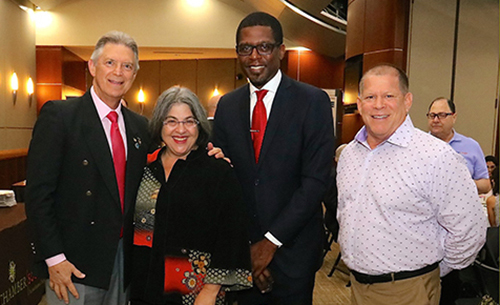 School Board member Dr. Lawrence Feldman, Commissioner Daniella Levine Cava, and FPL representative Baldwyn English. 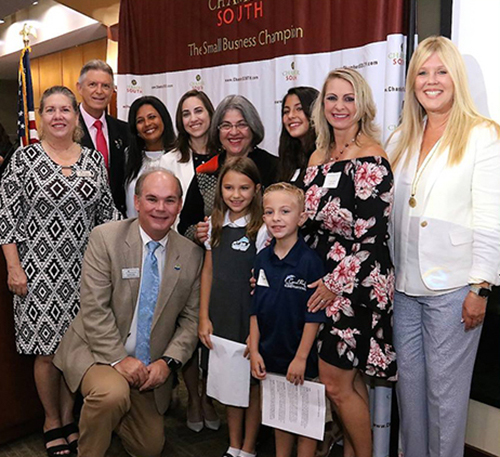 Chamber Executive Director Brittnie Bassant, Former Chamber Chairman Joe Gallaher and Superintendent Carvalho. Gabriella Villamizar of Coral Reef High sings the National Anthem. 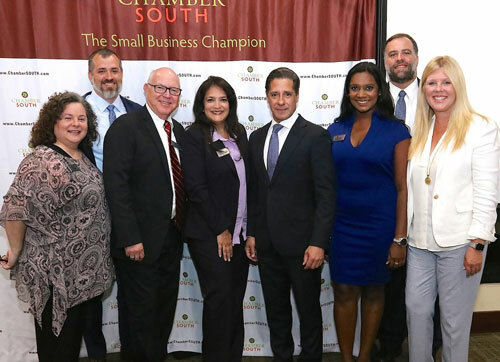 ChamberSOUTH Board of Directors and Alberto Carvalho. 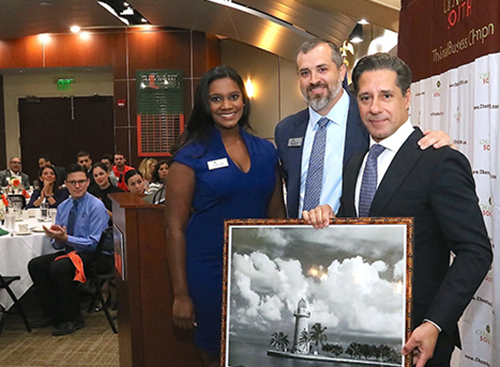 Superintendent Carvalho and Miami-Dade County students.